See ideas based around Ecuador chocolate that can earn income in Ecuador. 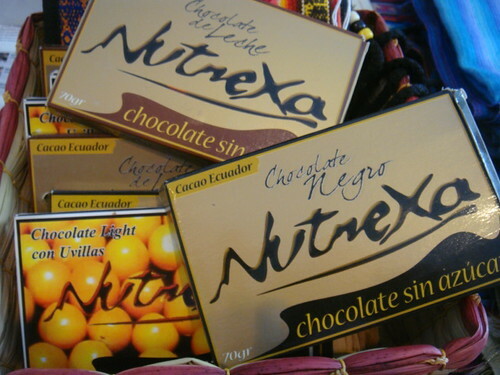 Ecuador has really great chocolate which brings several thoughts on how to earn income in Ecuador. first attended your September export tour I never dreamed that I would be back in Ecuador so soon. in the future. Thanks again for your fantastic assistance. We really are excited about the endless opportunities here. 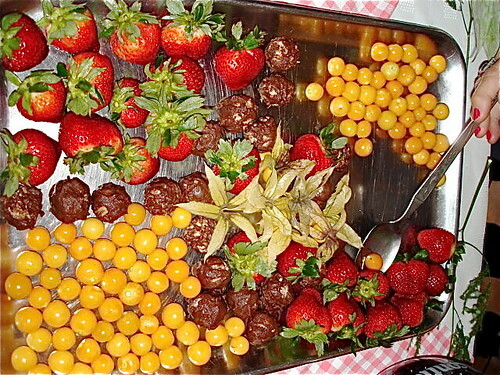 One Ecuador business idea is create a chocolate business based around Ecuador’s pure chocolate. Chocolate businesses can really take in cash and anyone who has a love of chocolate can do it. Take for example the recent “Reinvention is the Best Revenge” series in “More for Women” magazine. One story in the series was of Gail Ambrosius, in Madison, Wisconsin who was divorced and then burned from her “safe State government job” by State budget cuts. The story tells how her comeback was to open a gourmet chocolate shop and has sales of $1 million dollars a year. Here are excerpts from this article: When Gail Ambrosius divorced in 1991, she listened to the advice of family and friends who urged her to seek a “stable” state-government job to support her son. She went back to school for a degree in cartography and later landed a position as a mapmaker in the Wisconsin Department of Natural Resources. “But sitting in front of a computer in a seven-story cubicle firm was not the creative life I had envisioned for myself,” she says. It also wasn’t risk free. In 2002, when layoffs loomed amid state budget cuts, Ambrosius started to think about plan B. She remembered a high school trip she’d taken to Paris and how she’d fallen in love with the small gourmet chocolate shops on the Right Bank. “It was somewhere in my subconscious and bubbled up,” she says. While still employed by the state of Wisconsin, Ambrosius mapped out her new career goal: to open her own chocolate store and make enough money to put her son through college. In the fall of 2003, she took evening business classes and enrolled in a three-month online program through Ecole Chocolat, a professional school for chocolate making. Sure enough, that November she was laid off. “I could have found another government job, but I was ready to stop listening to everyone else and start listening to myself,” she says. She worked part time at a natural-body-care boutique to pay the bills, and in her off-hours, she made sure that every day she did something related to her chocolate-shop vision—networking, testing new recipes, meeting with a business mentor. That spring she traveled to France for a two-week immersion, during which she studied with renowned chocolatiers and visited as many Parisian patisseries as possible. A year after being laid off, she opened Gail Ambrosius Chocolatier–Madison. One day some former coworkers walked in the door. “Do you want us to try to get you your old job back?” they asked with concern. They doubted she could make a living selling candy. Ambrosius’s store specializes in single-origin dark chocolate mixed with exotic flavors such as shiitake mushroom, sweet curry and Mission fig. To advertise, she distributed free samples at movie premieres and theater openings. “Once people tasted it, they realized I had something special,” she says. After a local paper profiled her a few days before Valentine’s Day, she had lines out the door. Today Chocolatier–Madison has about a dozen employees, consistently makes the local best-of lists, ships across the country (order at gailambrosius.com) and is on target to gross $1 million this year. She also regularly visits cacao farms in Ecuador, Colombia and Costa Rica, holding workshops to empower women there. Read her entire story at the link below. 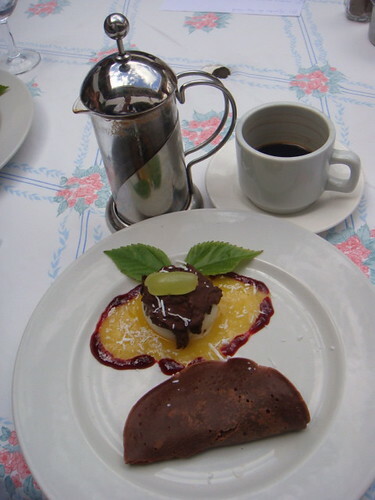 Ecuador chocolate can promote health and wealth because Ecuador Export Tours feature various types of Ecuador chocolate. Ecuador has health benefits as well as profit potential as the article below by Jean Marie Butterlin explains. 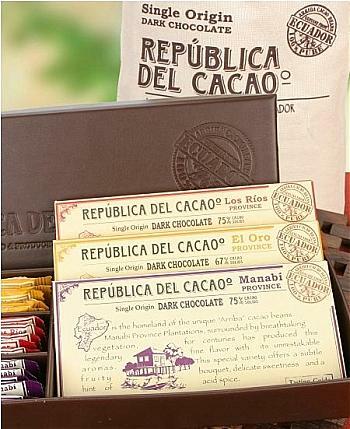 Ecuador chocolate is an anti-stress food, that you can eat in your everyday life! Stress is just part of our everyday life and has been shown to create a lot of free radical damage, responsible for a big part of our aging process. Some scientists are calling stress the “Insidious health problem of our century”. – First keep a good rhythm in your sleep cycle : here in Ecuador, we are helped by the fact that we have all year round the same day/night cycle (sun gets up a 6 :30 in the morning and sets at 6 :30 at night) without any daylight savings time changes. Sometimes it is easy to forget that a sound and regular sleep cycle is important in mental and physical health. A lot of people are flocking into Ecuador because of its low stress lifestyle. That is one of the main reasons why I have moved to Ecuador. – Then we have our anti-stress foods, which can help in our relaxation periods as well as keep serenity in all circumstances. By nurturing out brain the right way, you will give it the tools it needs to handle its stress. To function properly, the brain needs oxygen and sugars, but “good” sugars, which means low glycemic indexes, that will let the glucose go inside the blood stream very slowly, giving the brain a constant feed of sugar, which will alleviate also fatigue, hunger and lack of attention. One of the anti-stress foods, that a lot of us will love, is black chocolate. I have been a black chocolate fan since I was a teen-ager; I never had a taste for the very sweet milk chocolate, but loved the bittery taste of pure 99% cacao. Being in the natural health business, I always felt a little guilty early on, when eating chocolate, because of the health culture in the 80’s, that said “Chocolate is bad for you”. Little did I realize that not only that chocolate was not bad (if there was little sugar and contained at least 70-85% pure natural cacao), but quite the opposite! Recent research did find out that cacao contains a lot of those polyphenols and other natural nutrients that are indeed “good” for us. Black chocolate contains phenylethylamine, an alcaloid that helps that “feeling good” that is also in LSD and morphines! Contrary to these drugs, a piece of black chocolate (containing a minimum of 70% cacao- 85% to 95% is even better) is very rich in these active nutrients and without any danger to our health. Black chocolate contains also Anandamide, known as the “bliss chemical” because it is released by the brain when we are feeling great. Cacao contains both N-acylethanolamines, believed to temporarily increase the levels of Anandamide in the brain, and enzyme inhibitors that slow its breakdown. It promotes relaxation and helps us feel good longer. Ecuador has one of the best cacaos in the world yet is not yet very well known, except in the small world of chocolate lovers (that only eat 85%+ cacao rich chocolate). I just learned that Air France is treating its first class passenger with Ecuadorian chocolate. Ecuador cacao also has some of the highest polyphenols contents, with its all powerful anti-aging properties, which we will cover in a later post. Food rich in glucides have also anti-stress qualities, because they facilitate serotonin production, a neurotransmettor that is a really good natural anti-depressant, and also works against anxiety. Good cereal (especially Quinoa, another special grain in Ecuador) will help you combine balanced nutrition as well as a relief from the effects of stress by diffusing progressively its beneficial fibres, as well as minerals and all the B vitamins, that help also to improve memory. It also releases compounds into the body very very slowly. Stress also alters the memorization process ; increasing therefore your intake of high content omega-3 foods, which help in the production of serotonin and have positive effects on memory and also relieve nervous tension. You will find theses omega-3 in oil rich nuts like linseed. For people who like fish, tuna and sardines are great sources of omega 3. Ecuador has a lot of good, cheap tuna, that you can find in every store or restaurant on the menu. Omega-3, like certain vitamins of the B group (B1, B6, B9 et B12) have the properties to lower cortisol and adrenalin, 2 hormones that are presently high levels in persons that have high permanent stress. Vitamin B6 is essential, because it reinforces the efficacy of magnesium (and remember chocolate contains also plenty of magnesium!) It enables the brain to manufacture GABA and serotonin, 2 anti-anxiety substances. You may find high levels of Vitamin B6 in animal liver and wheat germ, but also in lesser quantities in whole grain cereals (quinoa esp. ), fish, meat and vegetables like lentils. When in stressed conditions, always remember to eat more of these wonderful foods! 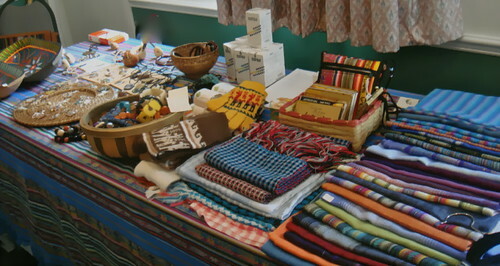 Ecuador Export Tours conducted by Bonnie Keough. 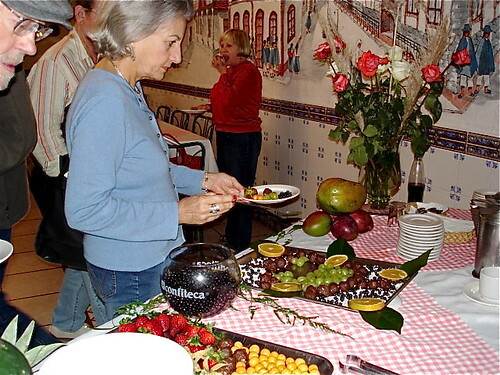 This coffeebreak has fresh fruit… gooseberries and hand made chocolate dipped, coconut balls… even the coconut is fresh and hand shredded. 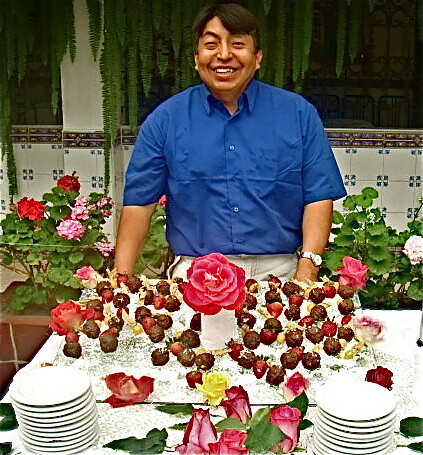 or do Eduardo’s fresh strawberries dipped in Ecuadorian chocolate. On the subject of chocolate, a favorite desert is this chocolate pancakes… yet guests report losing weight when eating here! The quinoa welcome cake is the hotel chef’s specialty. Here is another Ecuador chocolate business idea. Ecuador spas offer luxury and value, another reason to visit Cotacachi, especially La Mirage Spa. The spa has 19 really great treatments. One of the treatments is a chocolate massage. Entrance at La Mirage Spa. This is a terrific spa treat. The room is specially prepared, a glowing eucalyptus fire crackles and the music is soft, sweet and relaxing. This is 100 minutes of bliss, an entirely new dimension in the transformation of this magical fruit! Highly recommended! After each treatment relax in this meditation room. I love the Cotacachi Chocolate massage. When I tried this massage at La Mirage I was so relaxed I could not finish writing about it. The spa is unparalleled. Each special treatment has its own room specially designed so the Cleopatra’s bath (soak in herbalized milk and a massage) room has an Egyptian motif for example. Each room has a fireplace and soft music so I was not surprised to see the fire when I entered the new Chocolate Room. The treatment lasts 100 minutes and begins with several face and skin scrubs. The skin is our largest eliminative and most absorbing organ so this beginning clears away the old and prepares the skin to absorb the nutrients and antioxidants in the chocolate. Here is a business idea. 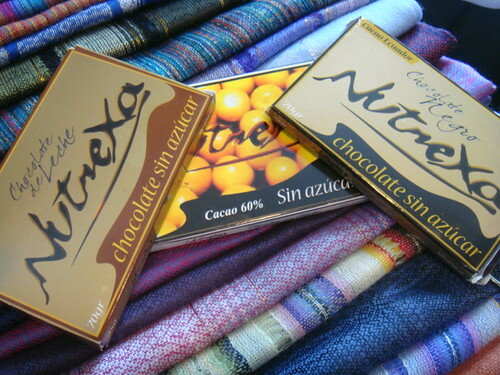 Export Ecuadorian luxury & Chocolate. 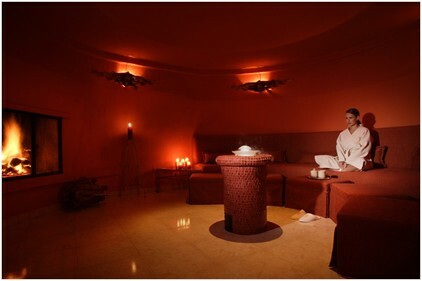 Organize spa tours to La Mirage. Learn how at our next International Business Made EZ seminar. See details here. Enroll in our online course “The Tangled Webs We Weave – How to Have an Internet Business” and receive four bonus courses on how to have a successful business free. See how to attend an International Business Made EZ seminar and the get Tangled Web and four bonus courses… immediately FREE. You save $598.Even better. Save $8,777 including Tangled Web online and four bonus courses FREE now. Click here or read below. Read the entire story of Gail Ambrosius, in Madison, Wisconsin and her chocolate business.